This leave-in treatment, made with Argan & Macadamia oils, repairs dry, brittle and otherwise damaged hair. 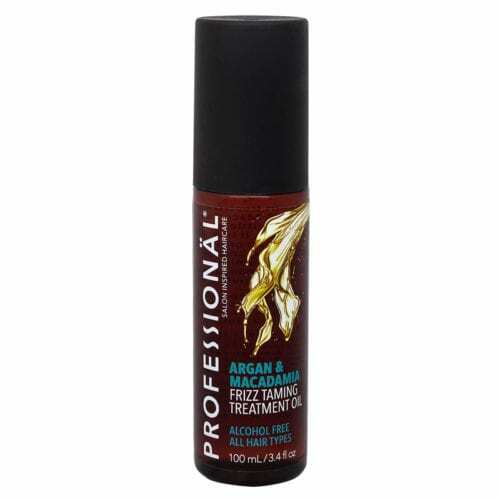 It is effective for detangling hair and dramatically reduces drying and styling time. Naturally containing Vitamin E to help revive hair damaged by heat and excessive styling. Directions: Pump a small amount of serum into palms. Work into the hair, starting at the ends and work up evenly into the roots. Warning: Flammable until dry. Keep hair away from flame, sparks or heat. Avoid contact with eyes. If contact occurs rinse immediately with water. For external use only. Keep out of reach of children.